Summers are the perfect time to reduce weight because; in summers we eat less and sweat more. But this season demands a proper diet, which keeps a stable supply of important nutrients to the body, so that you can lose weight in a healthy way. Also, keeping hydrated is very crucial. This is because you need to recuperate the electrolytes that get lost in your sweat. 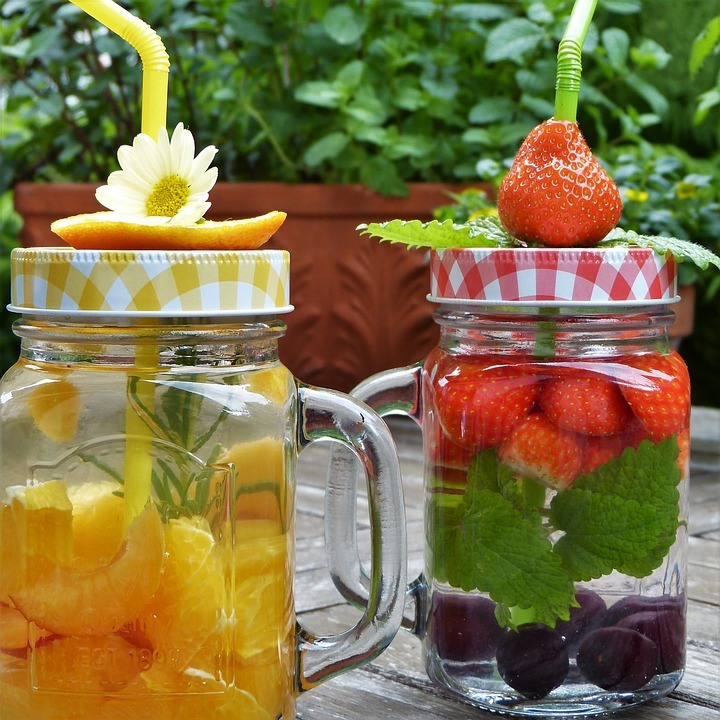 So if you’re planning to lose weight this summer, then detox waters may be great additions to your summer diet. Lemon helps in weight loss and also revitalizes skin. Add a few leaves of mint to the lemon water mix and this detox drink will keep you cool naturally, help in weight loss, maintain digestive health and will keep you hydrated. Being a rich source of vitamin B, potassium and magnesium i has purifying properties and is also low in calories. It helps in weight loss as it controls hunger and is full of satisfying fiber. Add a few pieces of grapefruit to your infused waters to raise their fat burning ability and make them naturally sweeter. Grapefruit is one of the best fat burning fruits and nutritious too. If it is eaten before meals, this citrus fruit may help you in losing weight. Apple and cinnamon is a fat burning mixture that you can use as an advantage in summer. You can even add in a few teaspoons of apple cider vinegar to the drink, to increase fat burning power. Cinnamon is a spice which naturally lifts your metabolism, whereas apple keeps you full for longer. Also know as amrood , this delicious fruit is commonly found in many households especially in India.